Tom Howle started Tom’s Sound (Sound Services) in 1996. Over the past 20 years, he has grown the business from his small garage to serving customers all over the world! With a background in both the music industry and business management, he brings a new level of Hospitality to the Audio Industry and is the reason Tom’s Sound has become the “Go-to” company for the best New and Used Audio Gear in the South East. Tom and his wife Lee Ann have been married for 21 years and have called Birmingham “Home” for quite some time. When he isn’t out buying gear, he is hanging with his “Little Bud”, Clayton, his grandson. Nineteen years as a professional audio engineer in the southeast, In house engineer at the War Eagle Supper Club in Auburn, AL for ten years and nine years as in house engineer at the Iron Horse Cafe in Hoover, AL. Retired from live sound (officially) October 2014. 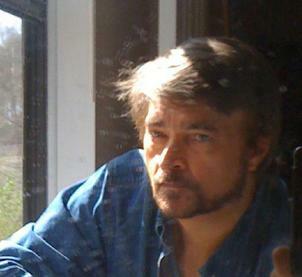 Guitarist/ Writer/ Performer / Studio Owner , Manager of the 'MusicMall' in Buffalo NY until 1995 when he moved to the south. Johnny Cathey was born in Trenton, Tennessee, and has spent the past 25 years in the Birmingham Area. 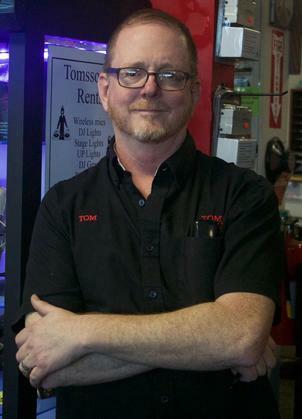 He has served as Tom’s Sound’s Speaker Specialist since 2013. 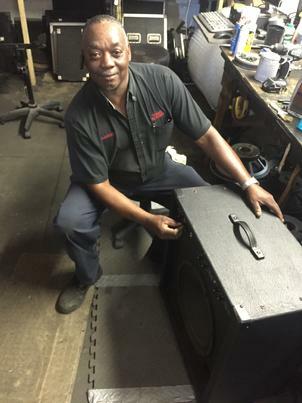 With over 30 years experience in the Live Sound Industry, Mr. Cathey’s Expertise in speaker and speaker component repairs is unmatched. Johnny enjoys entertaining folks all over Alabama as “DJ CoolBreeze”.